Your DIY path to clear skin with support from your Acne Specialist. Looking for expert help on your journey to clear skin, but don’t have time to visit an office? You’ve come to the right place. Virtual Clear Skin is an easy-to-use virtual acne coaching program proven to yield great results. Our process is simple – we provide the consultation, products and resources you need to help you on your journey to clear skin. Even with a virtual process, our clients receive the same level of professional and personalized attention of an actual office visit. 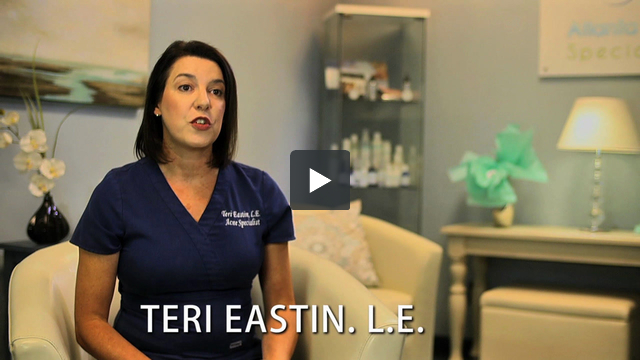 Led by lead acne specialist, Teri Eastin, Virtual Clear Skin combines a customized acne coaching program designed specifically for your skin and acne type with hand-picked products to help you achieve clear skin in the comfort of your home. Ready to begin your journey to clear skin? First, complete our Intake Form to outline details of your medical history needed to recommend treatment. Then, take our skin care quiz to help us understand your skin and acne type in order to develop a customized plan to help you feel better about what you see in the mirror. Finally, submit at least three high-resolution photos of your affected areas for our acne experts to examine. Our team of experts analyze your Intake Form and Skin Care Quiz and create a personalized Clear Skin Coaching Kit complete with products suited for your skin and acne type. We successfully coach you on your journey to clear skin using our 20-page Clear Skin booklet, bi-weekly emails equipped with downloadable content, and interactive videos. We ship your personalized products straight to your door without trips to the doctor's office or pharmacy.